Odhod smo imeli v nedeljo iz glavne postaje v Ljubljani. Prvi dan na poljskem smo imeli zase zato smo se odpravili v glavni stari trg, in se orientirali. Hodili smo po ulicah si ogledovali trgpvine, šli na kavo. Naslednji dan bi morali imeti predstavitev, vendar so je prestavili na dan kasnej. Naslednji dan smo imeli voden ogled glavni znamenitosti mesta. Ogledali smo is trdnjavo in obzidje, nato smo prisli do glavnega trga kjer stoji trznica v kateri so v starih časih prodajali večinoma usnjene izdelke. Poleg tržnice je stala cerkev ki je bila zelo bogato okrasena in vsake 4 ure se je slišala melodija trobente. Nato smo obiskali staro akademijo kjer si ob 12 lahko slišal študentsko himno ki so je takrat imeli. Nato pa je sledil ogled gradu kjer je bilo veliko lepo ohranjenih uklesanih umetnin ter carkofagi umrlih kraljev in kraljic. Naslednji dan smo si ogledali rudnik soli, kar je bilo meni osebno najbolj zanimivo saj ne bilo vse iz soli. Rudarji so v rudniku klesali kapelice in kipe kateri so bili vsi iz soli. Pogledali smo si tudi glavno dvprano ki je bila čudovita. V njej so bili svečniki iz soli ter v steno vklesane umetnine kot so zadnja večerja in mnogo drugih umetnin. V tej dvorani se lahko tudi poročiš. Zadnja stvar katero smo si ogledali je biu Aušvic. Bilo je zanimivo in poučno a vendar srhljivo. Predstavitev je odpadla vsem državam ker smo dobili preveč splošna navodila. Na koncu tedna smo si še malo sami ogledali mesto in nato odšli na vlak in se poslovili čudovitemu mestu ki je Krakow. We travelled to Krakow with the train, so we had a long road to get there. When we came there I tough it was a lot like Ljubljana, but it really wasn’t. We’ve been there for five days and we had a great time. First day we could do whatever we wanted, so we went to the main city square, it was really nice. The next day we went to the hosting school, where we should have our presentations, but we didn’t have them and we just sang a song that we have wrote. After we finished at the school we went back to the hostel where we had to prepare ourselves for going into Stalowe Magnolie bar. 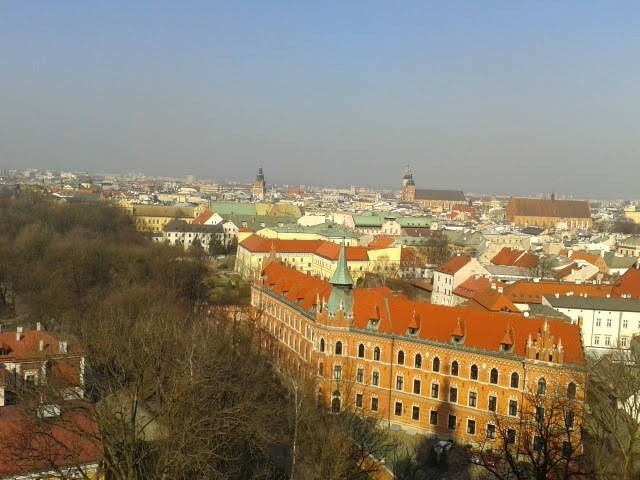 For Wednesday we had planed a guided tour around the city and we saw entire city and Wawel castle. In the afternoon we went to the underground museum and saw how Krakow became Krakow. On Thursday we went to the Wieliczka salt mine. When we came back, we spend our free time at the main square. And then there was Friday, the last day we were in Krakow. On Friday we went to Auschwitz, where we saw how life was difficult for Jewish prisoners. 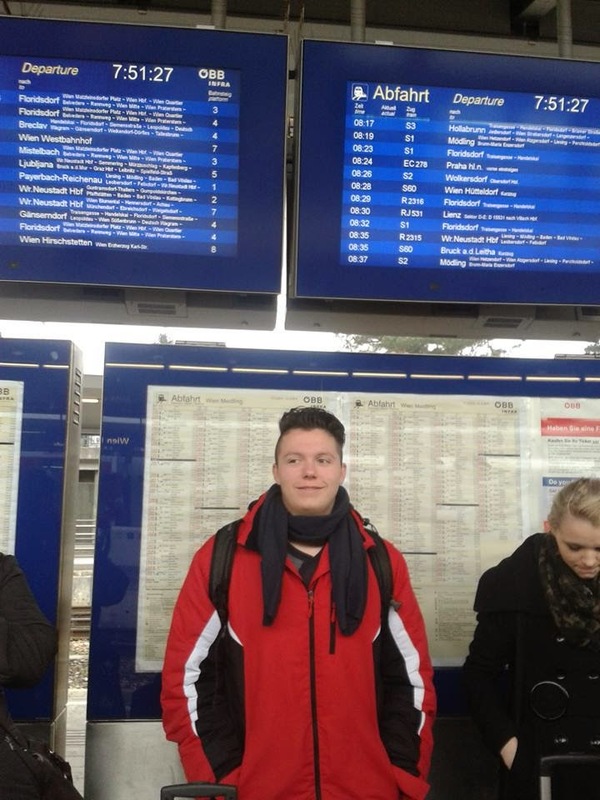 After Auschwitz, we went to the train station to wait for our train and leave Poland. What I learned while I was in Poland? Well next to the bus you can also use a tram as public transport,which is more ecological. It makes the city cleaner. And a lot of people actually uses the trams so they help reduce CO2. They also walk a lot because it is faster sometimes to go on foot then to use a bus or a tram. In the heart of Krakow you can use a traditional cab(carriage). The second day there we were learning about ecology around the world. We were introduced different ways of producing energy and a lot of them were ecology friendly to the environment. Later that day we were talking about how can we help reduce CO2 and then we watch a short interview about ecological footprint and learned that people still don't known much about ecological footprint. At first I didn't know anything about the city, but I was excited to go there. At the train station I was introduced to family with which I was staying untill the rest of the week. They were so friendly, and all of them spoke English very well. On monday I went to school with Andrzej (my host). He took me on a tour around the city. He showed me the main square and other main buildings like St.Mary's Church which is also on the main square. On tuesday we presented out project about the carbon dioxide with Tom. I also went to guitar lessons with Andrzej. On wednesday I had another tour around the city, this time with the whole group, and I later went to a historical museum of Krakow about the second world war with Andrzey and Tom. On thursday we went to Wieliczka salt mine. It was very interesting and beautiful. On friday we went to Auschwitz. I really enjoied the stay in Krakow. The family accepted me as one of their members so I really felt like home. I definitely want to visit Krakow again! Once in school, our English teacher prof. Vladimir Janež mentioned something about project Viribus Unitis-Help the world with joint efforts. I inquired about this project and find out that we will have to opportunity to travel in Poland, Krakow. Because I like to travel I signed up for this project. In first meeting in our school we divided into groups. I was in group with my classmate Jon and we had to research the meaning of carbon dioxide. All groups made presentations of their topic and we were ready to present it in Krakow. We gathered in Ljubljana on the main train station from where we started our journey to Poland. The ride was 14 hours long and we had the chance to get to know each other. In the early morning we arrived in Krakow. I meet my new host Bartosz and I went home with him to have real Polish breakfast. 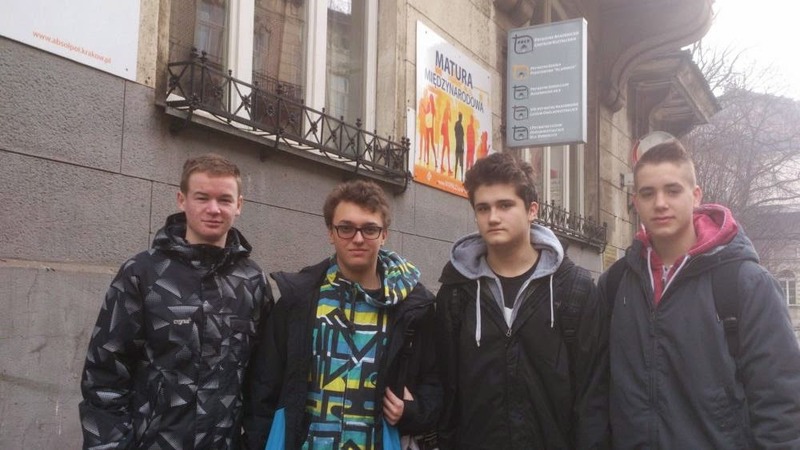 Later we went to tour around the city with Bartosz, Andrzej, Jon and me. Auschwitz. In the evening we headed on the train for Slovenia. I must say that Krakow is really beautiful city and people are very friendly. For my host family I can say only positive things. They accepted me like I was one of them and I really enjoyed staying with them. If I get another chance to visit Krakow I certainly won't miss it. 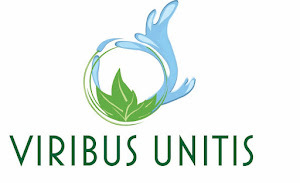 When I got the invitation to join the Viribus Unitis - help the world with joint efforts project I was first skeptic but after some thinking I realized that it is a great opportunity to learn something new. So I joined the group and we made a short survey video about ecological footprint. And then came the day to sit on the train and visit Krakow. At home, I checked some facts about Krakow because I didn't know anything about the city and realized that I can't wait to see it. When we came there we have gotten a nice reception from people and that made a big impression on me. After some days there I realized that people in Krakow are extremely friendly and most of them know how to speak in English so I didn't have problems with communication. We were there for five days and we visited the hosting school, Wieliczka salt mine and Auschwitz. We had a guided tour around the city and we visited Wawel castle, underground museum and other historical buildings and sights. On Thursday night we also went to Stalowe Magnolie bar, where we spent the evening listening to live music. The singers name was Ania Dudek and she sings really good. Unfortunately I learned only two polish words proszę (please) and dziękuję (thank you) and I learned that from our professor Jože Iskra. 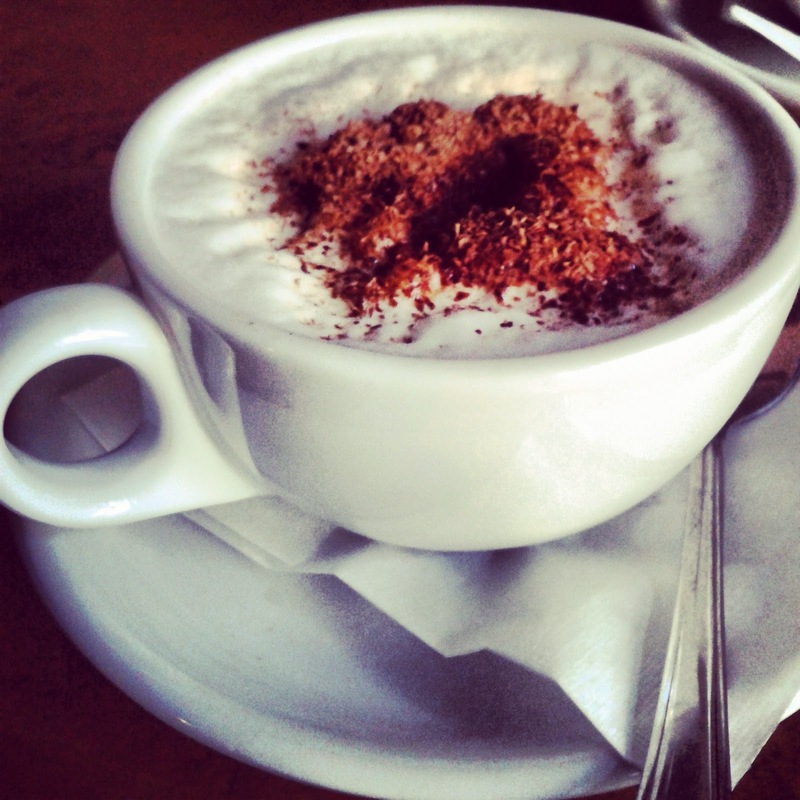 One of the things I will probably miss from Krakow is Polish coffee because every coffee I drank there tasted very good. And for the end I can say that I am looking forward to visit Krakow again! 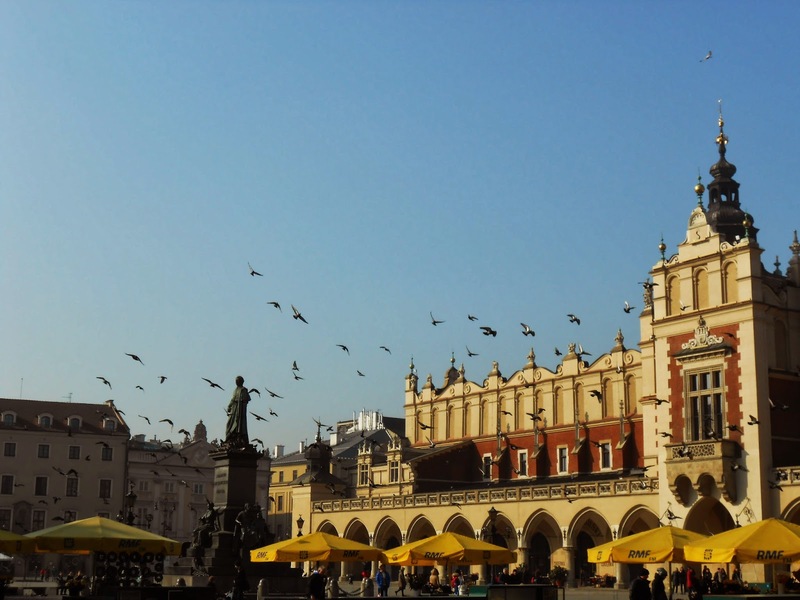 My name is Jovan and in this post, I will write about my expectations and impressions about the city of Krakow, Poland. We have been there for one week. We had the task to make a survey video about ecological footprint. As a result we traveled to Poland and participated in 6th Viribus Unitis meeting in Krakow. If I am honest, at first, I didn’t expect much from Poland. At first the city seemed a lot like Ljubljana, but later we realized it is nothing like that. One of the things that I don’t like about Krakow is really bad air pollution; it’s three times higher as it should be. One of the first things that we did when we arrived was taking a walk to the city’s main square, which is one of the most beautiful and biggest squares in Europe. We (Slovenians) once decided to walk around the city on side-streets so we would get more impressions about rhythm of life in Krakow and people's lifestyle. We figured out that the city can be very loud. It has some very peaceful parts though. One night, we went to a bar called Stalowe Magnolie, which has quite special style. At the beginning I wasn’t sure if I like it. But thanks to the company and good music we had a great time there. We also visited the Wieliczka salt mine, one of the world’s oldest salt mines still operating. Thinking it is just another mine, we went in and were astonished how big it is and also how many chapels are there, we never thought that the miners were so religious. After the tour you can also buy salt that has been dug there. Till the end of the week, we visited the underground museum, castle and other history sights in Krakow. Because I like history, I was really interested, what Poland has to offer about that. I never heard much about their history though. We learned a lot about the history of Jagiellonians to Polish kings and much more. Professor Jože Iskra also teached me some of the Polish words, for example: dziękuję (thank you), proszę (please), dobry (good) and couple more. So at the end of the day, if you’d ask me would I go to Poland again, I would say yes. Why should we sort out waste? Vladimir Janež. Watermark theme. Powered by Blogger.